Engage the highly connected urban audience who are mobile, trendy and influential, within a multitude of unique and repeated visitors across all regions of Klang Valley. BIG RIDE establishes a stronghold of extensive transit networks in Klang Valley through the LRT Kelana Jaya and Ampang & Sri Petaling lines, KL Monorail and the Express Rail Link (ERL) converging at Malaysia’s main transportation hub, KL Sentral Station. 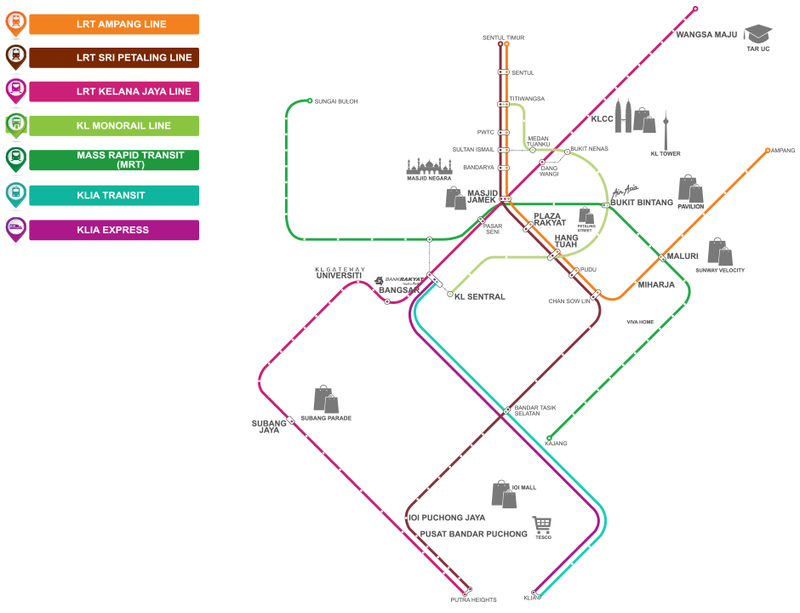 The extensively linked and integrated transit lines offer an enclosed catchment area, converting dwell time into a unique platform for immersive brand experience by advertisers. To enrich commuters’ traveling experience, dominate train stations to reflect brand supremacy, turn trains into mobile brand communication channels, or decorate pillars to establish iconic landmarks within the heart of KL’s Golden Triangle. Reach us to engage in Big ideas! Big Tree Outdoor Sdn. Bhd.